Nestled amid the rolling national forests of the Rocky Mountains and not far from the edge of the Great Plains, Helena is a quintessential example of Montana at its best. It’s also the logical home base for fly fishing many of the region’s great rivers—including the Missouri, Blackfoot, and Clark Fork rivers. Many smaller streams crisscross the local rivers, offering diversions for those more inclined to chase blue lines in the backcountry. For a long time, the rivers surrounding Helena have been home to healthy populations of sizeable fish. For anglers chasing brown and rainbow trout, the area first became truly popular in the 1990s, thanks to a surge of editorial coverage of fly fishing on the Missouri River. Thanks to impressive fish numbers—averaging 6,000 fish per river mile—and a year-round fishery (winter angling requires ambition, but it can be productive), the Missouri was soon on most anglers’ bucket lists. The small town of Craig, 44 miles north of Helena, is a shining example of the river’s fame. Home to three fly shops, one bar, one restaurant and not much else, the town’s economy revolves around the bustling fly-fishing industry. The Missouri’s most productive stretch of river is from Holter Dam to the town of Cascade. 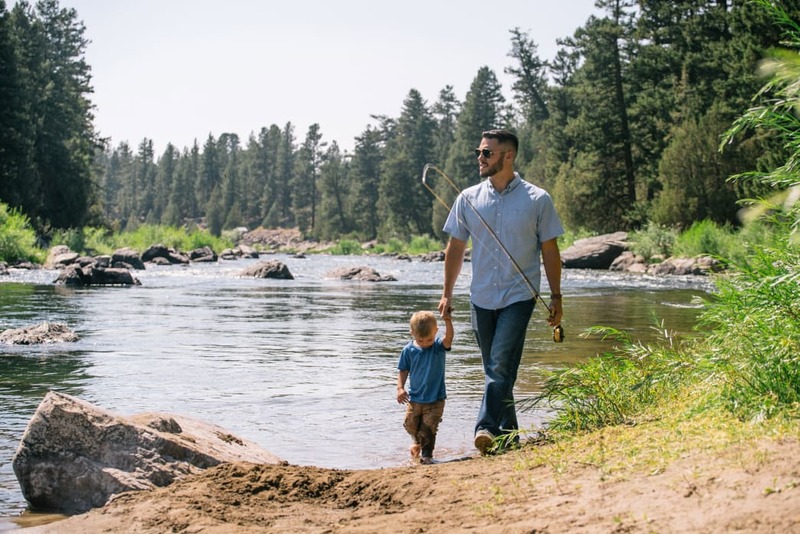 The diverse waterway offers a variety of backdrops—from rolling meadows filled with cattle to sheer cliff walls that are home to bighorn sheep, and then eventually the edge of the Great Plains—while offering classic trout fishing in riffles and long, flat pools. Without a doubt, the tailwater is a must-fish for any angler visiting Montana. 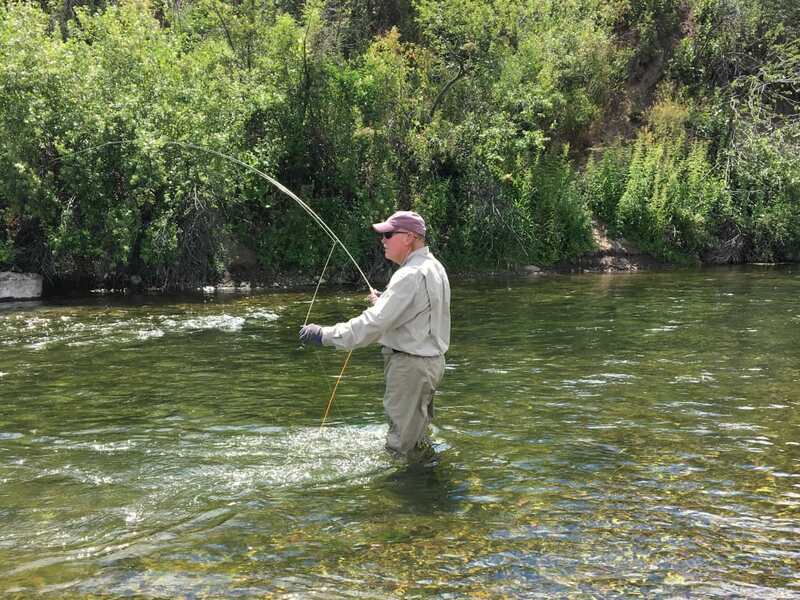 The Blackfoot River is easily reachable from Helena, often drawing anglers searching for a remote-feeling river with strong insect hatches and the opportunity for world-class terrestrial fishing. Made famous in Norman Maclean’s writing, "A River Runs Through It" the freestone Blackfoot is home to a healthy population of brown and rainbow trout, as well as native westslope cutthroat trout and the rare bull trout. Pack your dry flies: the Blackfoot is a strong dry fly fishery and once runoff has subsided, the river fishes well with terrestrials, salmon flies and large indicator dries. The upper half of the Blackfoot is smaller water suitable for wade fishing, while the lower river is better suited to rafts (it’s still potentially technical water, and for those unfamiliar with the river, a guided trip is highly recommended). The Clark Fork River is a bit of a drive from Helena, but it can produce consistent mayfly and caddis hatches, as well as strong stonefly and terrestrial fishing in season. The river winds from the town of Butte to Missoula, joining the Blackfoot and Bitterroot rivers just south of Missoula. The upper river is small and winding with a healthy population of small, feisty fish (and some big ones! ), while the lower is home to fewer, yet larger fish per mile. The Missouri and Blackfoot offer stellar fishing closer to Helena, but for those seeking a change, the Upper Clark Fork can prove to be an enticing distraction. The best way to explore any new waterway is with qualified, professional fishing guides, who can provide a float trip in a raft or hard-sided drift boat, bring lunch, and often supply flies and other terminal tackle. They also make it easy— just show up with your fishing gear, get in the boat, and go. Good guides are booked upward of 150 days a year, and spend nearly every day in season on the water, meaning they know where the fish are and what they’re eating. Translation? A far more productive fishing day. Local shops can provide information on booking guides, though be sure to book early—many top guides are booked up to a year in advance. Helena is home to several quality fly shops ready to help visiting anglers find a guide. CrossCurrents has a shop in Helena and one on the Missouri River in Craig, ensuring they can service anglers wherever the need may be. Headhunters Fly Shop is a favorite fly shop located in Craig and serves up fly-fishing advice with a bit of island attitude. Montana Fly Goods in Helena is also a local resource, and both Pro Outfitters and Montana Fishing Outfitters can help organize guided trips. Wondering what to pack? If you’re coming any time other than the peak of summer, plan to pack waders, wading boots, and lots of layers. The Missouri River especially is notoriously windy, and there’s nothing worse than being underdressed during a long day on the water. In July and August, the warmest summer months, most anglers can be found in wading boots or sandals, though a rain jacket should always be nearby for summer thunderstorms. Most anglers will use 4- to 6-weight rods: 4- and 5-weights often for dry fly fishing, and 6-weight rods for nymphs and steamer fishing. Floating line is chiefly used, and bring along 3X, 4X and 5X leader and tippet. Stop in a local fly shop to see what flies are popular in-season, but it’s always a good idea to have a few boxes brimming with classic dry flies, nymphs and streamers ready to go. Many of the local shops feature special patterns tied by local anglers who know what works on certain waterways. And don’t be afraid to call ahead. Most fly shops and outfitters are happy to help you prepare for a successful trip to Helena’s many trout-rich rivers. Written by Jess McGlothlin for RootsRated in partnership with Helena CVB.